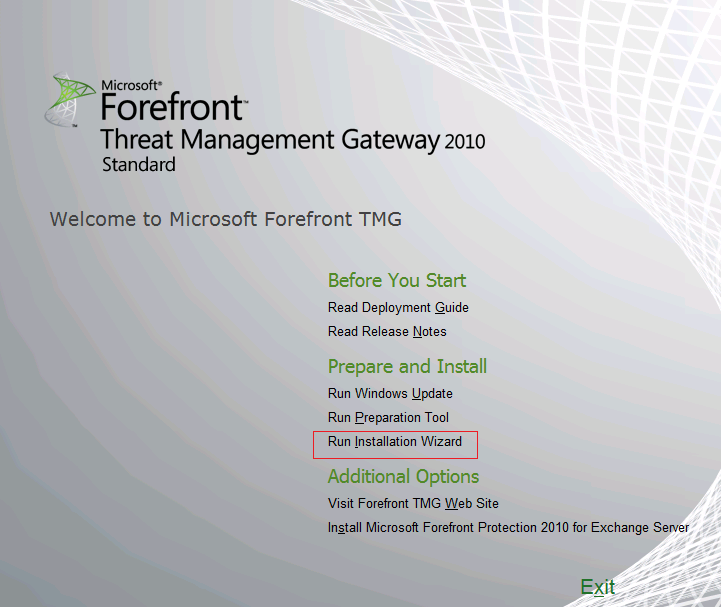 Forefront Threat Management Gateway has been released to manufacture and now its available for download. Many people already started to test it and some of them have installed the evaluation version in production environment. The common question that I daily receive through email or I see on the forums is "how many days will TMG 2010 evaluation version last for, and how we can upgrade it to the full version ?" 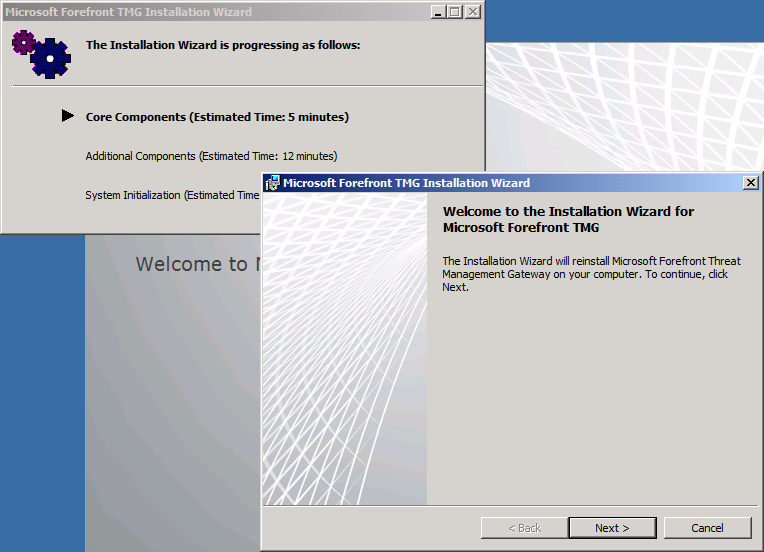 In this article, I will be answering these questions and will show you to how to upgrade the evaluation version to the full (RTM) version of TMG 2010. 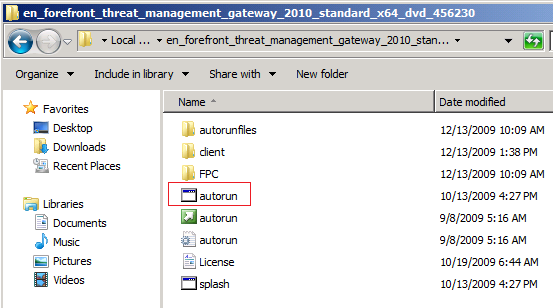 Insert the TMG 2010 RTM DVD into your server's DVD drive, or if you have already copied the installation files to your hard disk, then simply double click on autorun.hta, this will launch the Microsoft Forefront Threat Management Gateway 2010 installer. 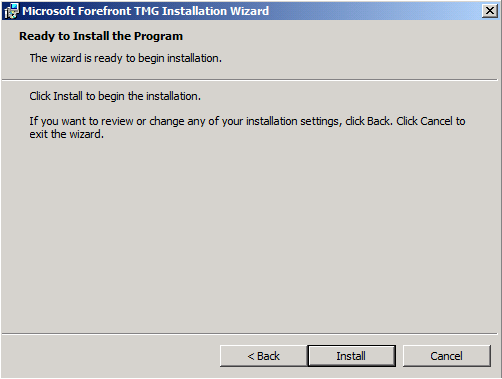 Click on Run Installation Wizard. 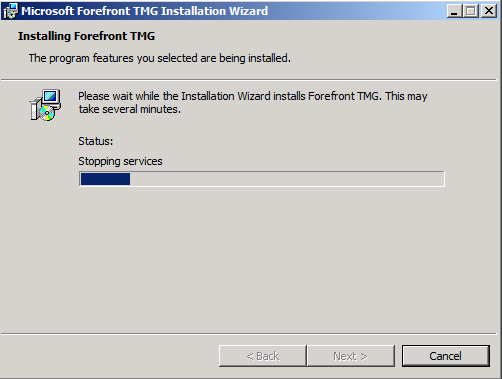 We don't need to run the preparation tool as TMG is already installed. Be informed that during this operation, few services will be stopped and then restarted. 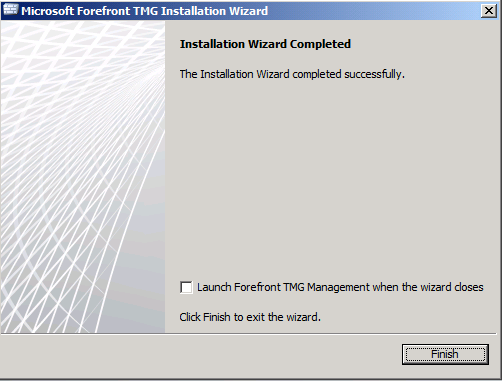 Eventually, the installation wizard will be completed, and you once you receive this page, then you have completed upgrading your evaluation version of TMG 2010 to a licensed RTM version. Ok... now comes a common question, how can I verify that the evaluation version is now a licensed one ? Well, unfortunately, you can not see any difference between the evaluation or the licensed version, and we will not be able to verify, neither by a version number nor by a product ID number !! The evaluation version of Forefront Threat Management Gateway works for 120 days. At any time, if you decided to upgrade the evaluation version to a fully licensed one, this can be easily done by having an in-place upgrade.